Looking for a cute dog to adopted? 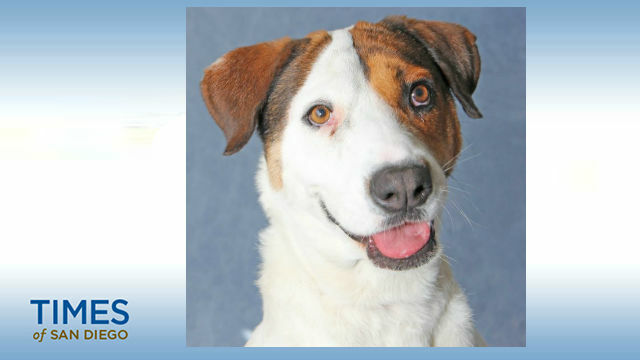 Onslo is pet of the week at the Rancho Coastal Humane Society. He’s a 3-year-old, 58-pound, Labrador Retriever/ Boxer mix. Onslo is always ready for an adventure, so he will need plenty of physical and mental activity before lying down to snuggle. He loves other dogs who want to play with him. If there’s not another dog around, he’s almost as happy just playing with his toys. Onslo needs a family that will take him on lots of adventures to new places where he can investigate and explore. He was transferred from another shelter through the FOCAS program and is ready to be adopted. The $145 adoption fee for Onslo includes medical exams, vaccinations, neuter, and registered microchip. For more information, call 760-753-6413, visit Rancho Coastal Humane Society at 389 Requeza Street in Encinitas, or log on to SDpets.org. Onslo was transferred to Rancho Coastal Humane Society through the FOCAS program from another animal shelter. Kennels and Cattery open 11 a.m. to 5 p.m. daily except Tuesday.